It seems like every grocery store in the Tri-State is having a sale on broccoli. 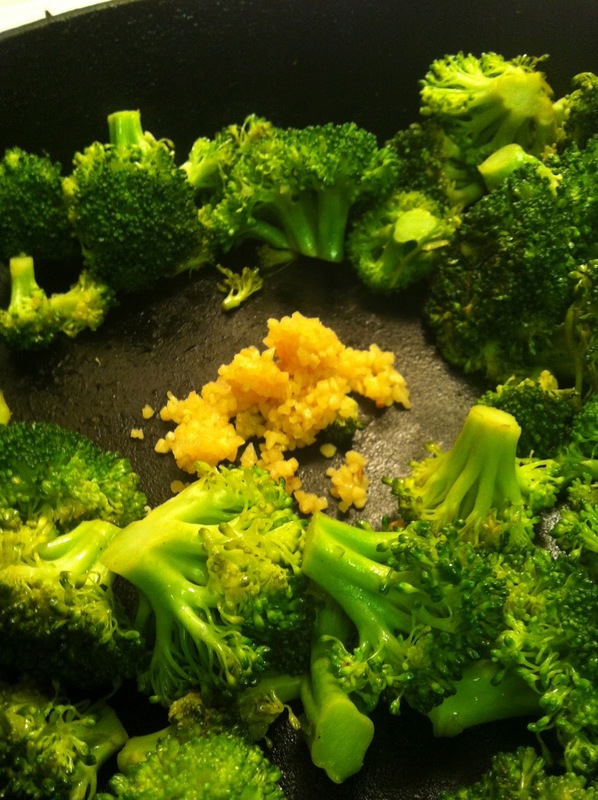 While we do like broccoli as a side dish, sometimes I see a tiny mutiny on my hands when I serve it the same way all the time. I had to think up something new to do with those magical miniature trees. Here is a quick recipe that I threw together a week ago. 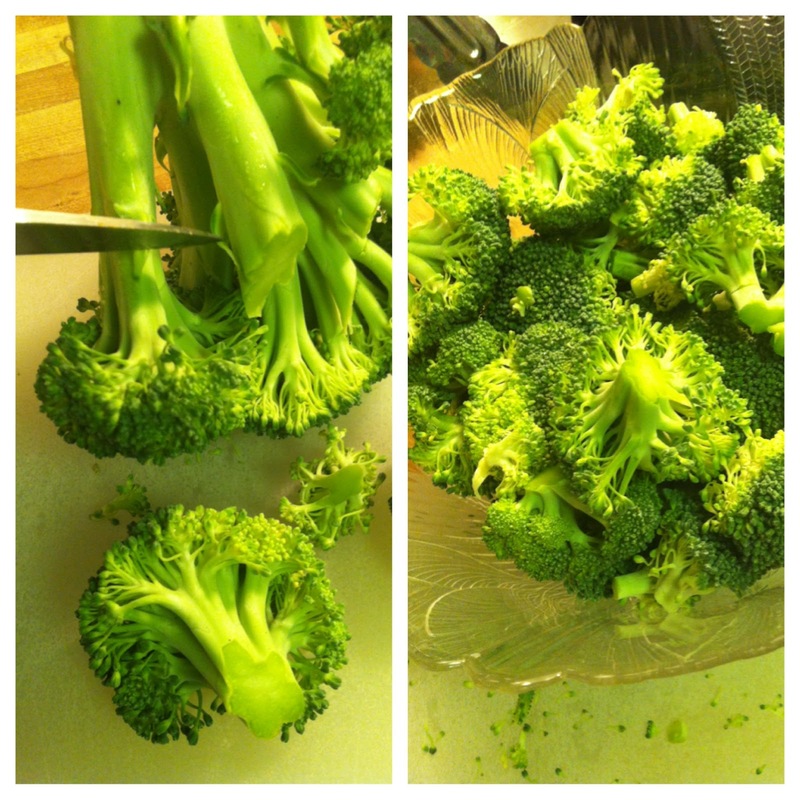 I cut the florets off the broccoli and placed them in a large microwaveable bowl, along with some water. I save the stems and slice them thin to use in stir fry for another meal. Cover the bowl with plastic wrap or a large microwaveable plate, and steam for 3 minutes in the microwave. While the broccoli steams, chop up your peanuts. I decided to just smash mine with the bottom of the bottle. 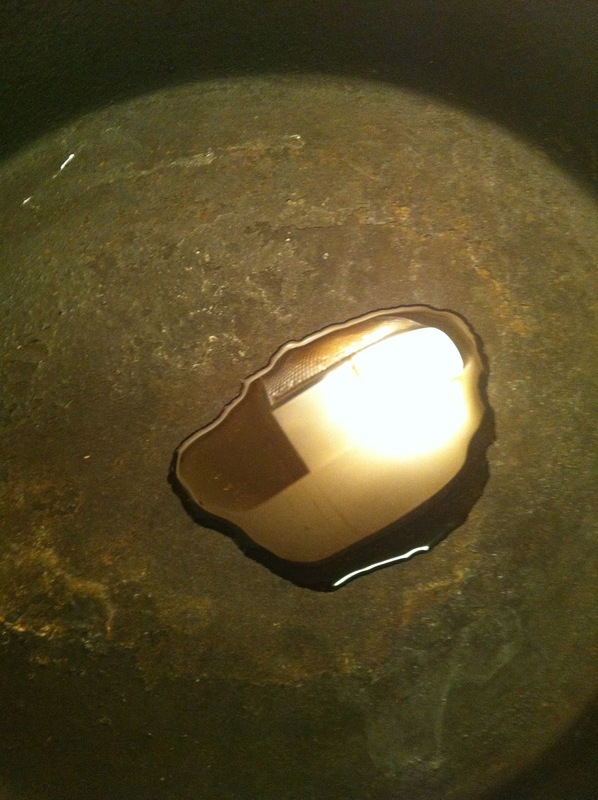 Place your oil in a cast iron skillet, or a large sauté pan. Place pan on medium-high heat. Once the broccoli is done, drain the water, and place the broccoli in the pan. Toss the florets in the oil, then place the garlic in the pan and toss again. After you add the vinegar (be careful of the steam! ), add in the salt, pepper, and lastly, the peanuts. 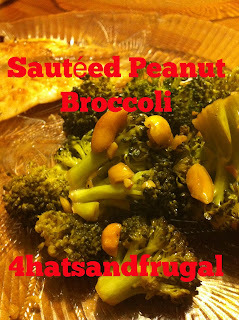 Place the nutty, delicious concoction back into the large bowl and serve immediately. Mmm, I can smell it now. Place the broccoli florets in a large microwaveable bowl. Place the water in the bowl and lightly cover with plastic wrap or a microwaveable plate. 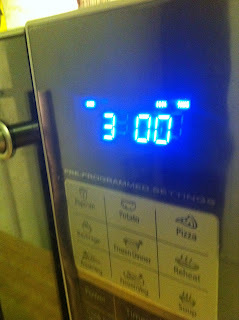 Microwave the broccoli for 3 minutes. 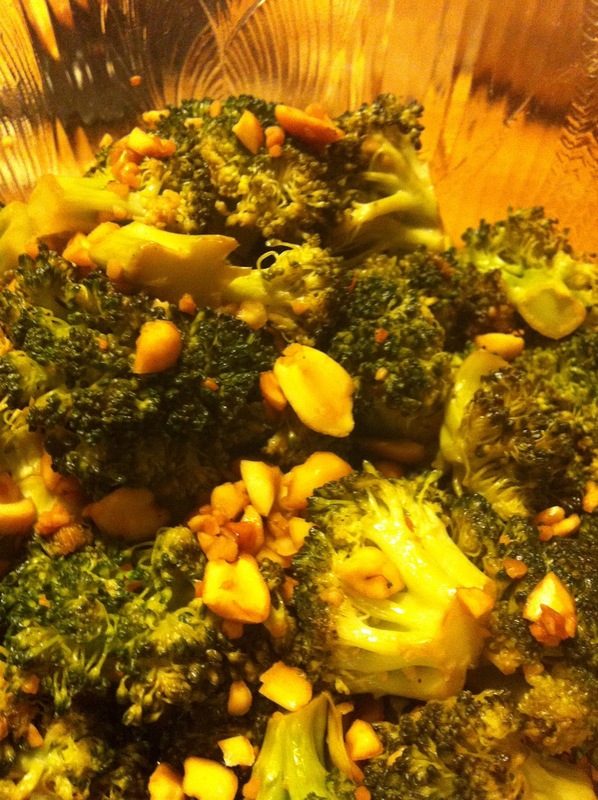 While the broccoli steams, chop up your peanuts. I just smashed them with the bottom of the peanut bottle. Place a large sauté pan on medium high heat, and put in the oil. 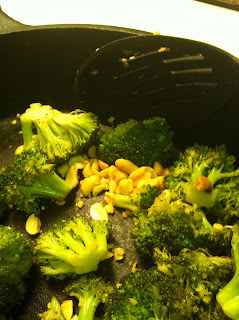 Once the broccoli is done, pour out the water and place the florets in the sauté pan. 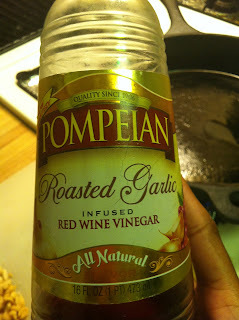 Toss liberally in the oil, then add the garlic. Stir the broccoli and garlic together, then add the vinegar (Stand back! The fumes from the vinegar may hurt your eyes if you don’t). Sprinkle with salt and pepper. 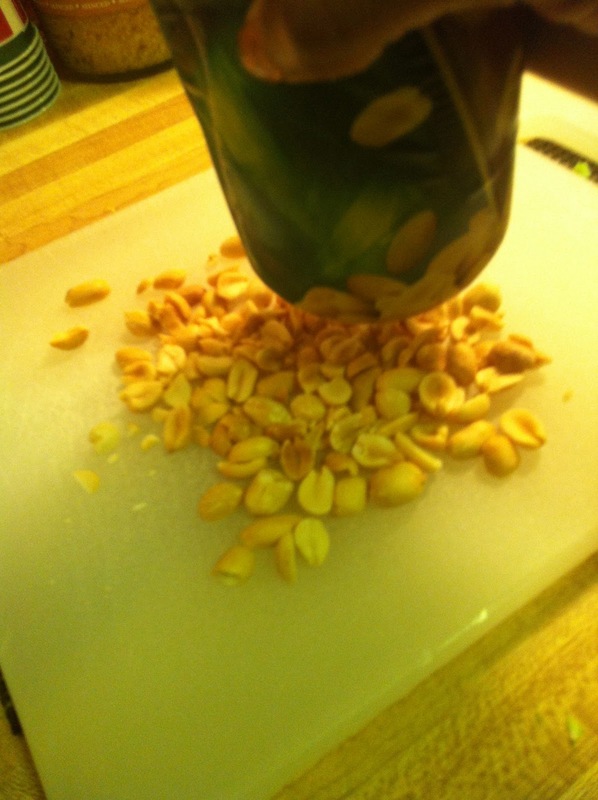 Throw in the peanuts and sauté for one more minute. Turn off the heat, and place the side dish in a bowl.